Aromatherapy massage enhances the physical and psychological effects of a pressure point massage. This type of massage uses aromatic essential oils and plant extracts. Each essential oil has a purpose of its own. For example, rosemary has energizing effects; chamomile and lavender calm you, while clary sage and rose will uplift you. Who benefits from Aromatherapy massage? Since aromatherapy massage offers a wide range of benefits, anyone suffering from tension, stress, pain, high blood pressure and lethargy can use this therapy. According to a study from 2015, this treatment even reduces pain and discomfort during menstrual cycle. It is a gentle therapeutic treatment that uses tailor-made blends of plant extracts and essential oils. Besides ensuring the best effects against specific ailments, aromatherapy will allow you to relax and enjoy during the procedure. Many studies have confirmed that the use of lavender fragrances is beneficial for the stress relief and for the elimination of issues preventing good sleep. Citrus scents, on the other hand, promote mood uplifting and decreasing of unwelcoming feelings such as depression and anxiety. Furthermore, mixtures of essential oils that contain clary sage focus on reducing the severity of pain. Hence, it is always possible to find a specific scent or a combination of fragrances to help you, in combination with aromatherapy treatment, improve your well-being. Williamston’s Buppha massage uses many types of essential oils and plant extracts to combine various benefits, including pleasure and invigoration. Once you tell to our massage experts what is troubling you, they will prepare fragrant oils that will relieve you from the tension or stress. 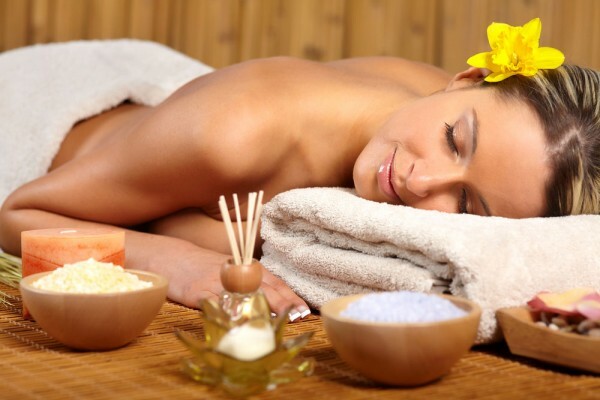 Aromatherapy massage and the pleasant ambience will allow you to completely relax and enjoy the treatment. Hence, if you need help in boosting your energy levels, blood pressure improvements, mood uplifting, increasing of brain function and clarity, or you simply need to relax, the Buppha aromatherapy treatment is ideal for you. View Our Current Aromatherapy Deals!